There really is no better time to create to your own homage to one of the franchise’s fan-favourite characters; Daryl Dixon! 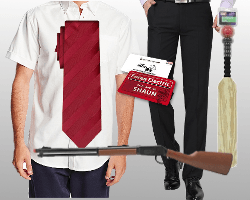 Whether you’re living in the US or UK, looking for cosplay ideas for your next Comic Con, zombie themed party, or if you simply want to look awesome during your next Walking Dead box-set marathon, here is our step-by-step guide for creating an authentic Daryl Dixon costume. 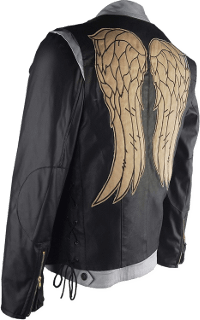 Daryl Dixon’s Angel Wings Vest is one of the most iconic and easily recognised items in his wardrobe. Matched with a simple pair of jeans, a t-shirt and a Daryl style hair cut, this one item will make you instantly recognisable as Daryl. This particular vest is a quality item made in an authentic style that closely emulates the vest worn by Daryl in the show. It is a great vest that will look the part and is versatile to wear on other occasions. 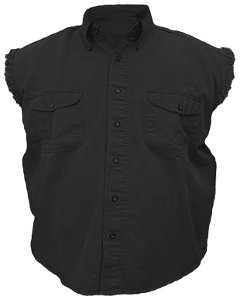 However, if you are looking for a more economic alternative, or wish to constuct your Daryl Dixon vest personally, we can recomend some great alternatives. These include a “pleather” Daryl Dixon Vest which comes with the wings already attached to the back, or why not go for a higly affordable genuine hog leather Daryl Dixon vest and attach a pair of ready made, quality Daryl Dixon Biker Wings on the back? There are a number of options open to you at varying prices to suit all pockets. 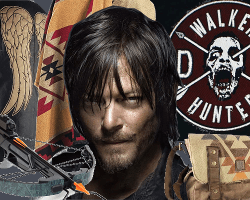 For a full guide on how to select the Daryl Dixon Vest that suits you, check out our dedicated Daryl Dixon Vest guide. We recommend three alternative leather vests which range in price, detail and durability to suit all pockets. 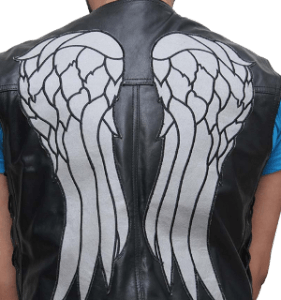 We give details about plain leather vests that can be easily converted to an authentic Daryl Dixon Vest by attaching some easy iron-on readymade wings and also recommend a tutorial video on how to fashion your own wings if you are a dedicated cosplay expert. If you want to create a Daryl Dixon Costume from Season 4 onwards, or if you plan on trick-or-treating on a cold October night, then you might want to consider wearing a Daryl Dixon vest and jacket combo? As you may have noticed from watching The Walking Dead, Daryl often layers his Angel Wings Vest over a leather/jean jacket. The easiest way to achieve this look is with a readymade Daryl Dixon Vest and Jacket cosplay combo. The tell-tale angel wings are already emblazoned on the back for this authentic looking Daryl Dixon Vest and Jacket Combination. 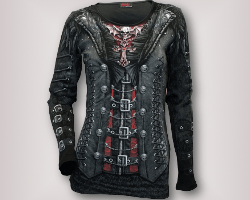 The jacket is constucted from 30% artificial leather, 60% cotton and 10% polyester. The cuffs are secured with two copper zippers whilst stainless steel snap fasterners secure the jacket at the front. The jacket has two large pockets with two flap pockets on the front chest. With the inconic angel wings already emblazoned on the back, this vest and jacket combination would look great as part of your Daryl Dixon Costume for Halloween, Walker Stalker, Comic Con or any costume event. If you’re planning a Season 2 Daryl Dixon Costume then you’ll need to find a fetching poncho to complete the look. This ready made version is available now. 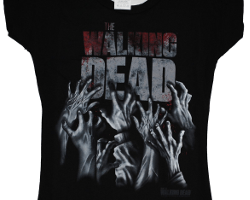 It is officially licensed from The Walking Dead and is manufactured from a mix of 90% Polyacrylics, 10% Polyester and has a wide cut for comfort and ease of movement. 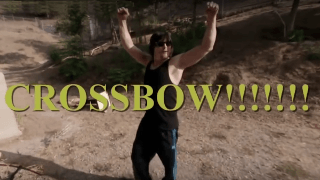 With a cross bow in hand you can make an instant transformation into the Dashing Daryl Dixon that will stop the show at any comic convention, Halloween Party or Walker Stalker event. 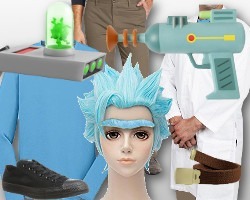 We at ZombiePit think it may just be too practical to limit to cosplay. Slip one of these on, feel that cowboy vibe course through your veins and you may never want to hang it up again! 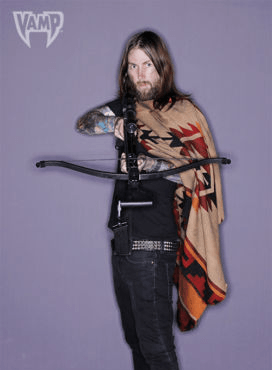 Check out this skilfully crafted Daryl Dixon Poncho which measures approximately 44″ wide by 31.5″ long from the shoulder down, so should fit most adults. 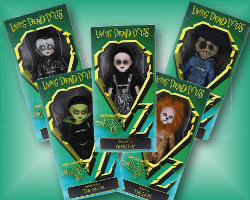 It is manufactured from acryllic and carefully designed to authentically resemble the Poncho as worn on The Walking Dead by the daring Daryl Dixon. “I have a poncho this season!…It’s supposed to be a horse blanket I put a hole in”. 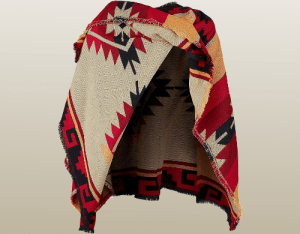 In the same way Daryl Dixon fashioned his poncho by taking a colourful horse blanket and making a hole for his head, we can show you how to come up with a richly colourful poncho that will look and feel every bit as good as Daryl’s. 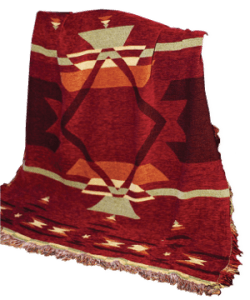 After scouring the Internet we found this Western Decor Blanket Throw which features the same colours and style as Daryl’s horse blanket poncho. Simply cut a hole in the middle as demonstrated within this YouTube video: “Making a poncho from a horse blanket” and you’ll have created your own poncho of which even Daryl Dixon himself would be proud! 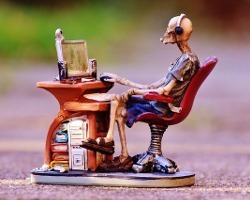 When it comes to shirts, Daryl seems to follow a pattern of khaki, grey or black button-down work shirts in either long-sleeved or cut-off sleeve varieties. As a rule, if you’re cosplaying as Daryl Dixon from a earlier season then he will be wearing either a vest or poncho so you should opt for a sleeveless button-down shirt in a khaki, grey, dark brown or faded plaid design. Possible shirt options from these earlier seasons include; this Khaki Men’s Biker Shirt or this Plaid Button Down Shirt. 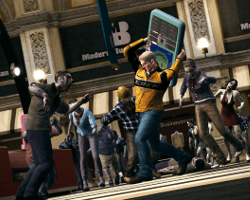 Alternatively, if you’re cosplaying as Daryl Dixon from Season 4 onwards in his vest and jacket combo then he will be more likely to wear either a Sleeveless Black Biker Shirt or a Long Sleeved Sweatshirt. This sleeveless denim biker jacket is typical of the shirt worn by Daryl Dixon in earlier seasons. With frayed cuffs and a button down front it is hardwaring and comfortable. 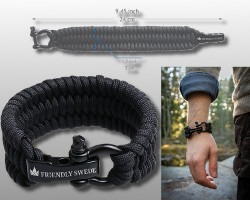 The heavy duty double stitching ensures it will be a practical choice for Daryl’s lfestyle. A button down style and two front pockets complete the look. Daryl is often seen wearing a long sleeve dark shirt underneath his winged vest. 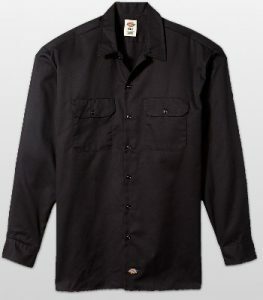 Matched with the denim vest above, this long sleeve work shirt would make an excellent ensemble when putting together a Daryl Dixon Costume. 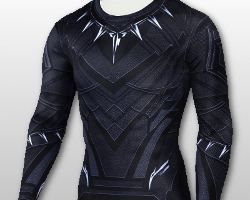 A blend of 65% polyester and 35% cotton, this shirt is comfortable, machine washable and versatile for a number of occasions outside cosplay making a great addition to any wardrobe. 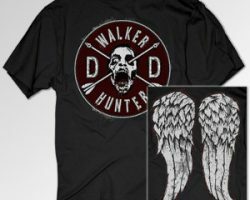 If you are looking for an instant, last minute Daryl Dixon Costume then look no further than this Wings and Walker Daryl Dixon T-shirt. Emblazoned on the back are Daryl’s inconic biker wings whilst the front carries an embossed motif that has everything you would associate with the crossbow wielding hero, Daryl Dixon. A large Walker head occupies central position with two arrows run through, reminiscent in style to a skull and cross bones pirate flag. The words “Walker Hunter” are embroidered above and below and the letters “DD” are etched left and right, in recognition of Daryl Dixon’s handiwork. 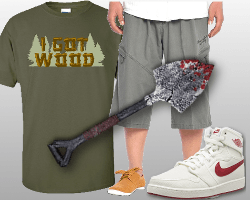 A great T-shirt that any Walking Dead fan would be delighted to own and wear at the best of times, it also makes a great instant Daryl Dixon costume for Halloween, Walker Stalker or any other costume event. For more details, check out our Wings and Walker T-shirt Review. Although Daryl’s look may vary with each passing season, his style of jeans always stays roughly the same! As such, we recommend investing in a pair of Wrangler Men’s Cowboy Cut Slim Fit Jeans in Shadow Black, Charcoal Grey or Trail Dust. These colour schemes will cover all of Daryl’s different looks from Season 1 and are versatile enough to team with any number of outfits. 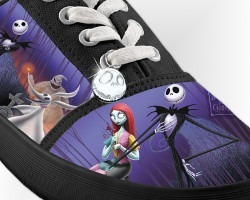 They would make a great addition to any wardrobe.. In true biker fashion, Daryl Dixon wears brown lace-up boots which are perfect for riding his motorcycle, hunting in the woods and fighting zombies. 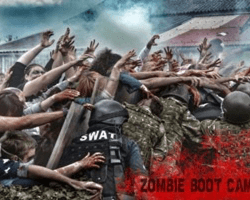 When it comes to choosing your ideal Daryl Dixon boots you should opt for a lace-up pair of brown leather boots that have a rubber or synthetic sole. By doing so, you can execute an authentic Daryl Dixon cosplay without your feet feeling like they’ve walked to Terminus and back! 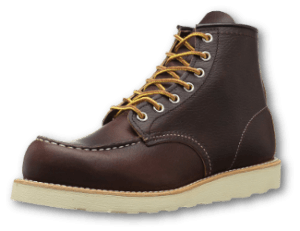 At Zombie Pit, we recommend investing in either some Irish Setter Hunting Boots which have been manufactured in leather and fitted with a synthetic sole or a pair of these Red Wing Heritage Boots which come in a range of colors. The high quality nature of these various boot options means that they will stand the test of time. 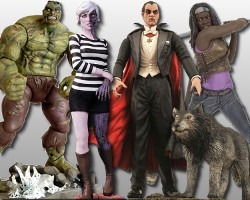 Moreover, their understated style means that they can be used for a wide range of Walking Dead cosplays. After creating your Daryl Dixon Costume, it’s time to tackle Daryl Dixon’s mane! 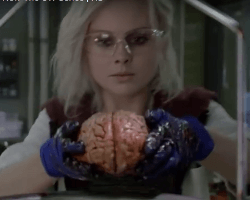 If you’re blessed with Norman Reedus style locks then simply ruffle your hair on the day of your Walker Stalker convention or zombie-themed party and you’re good to go. However, if you find you lack the necessary locks for a Daryl Dixon look, then never fear. You can simply order a ready made wig that does the job in true Daryl style. This wig is manufactured from high temperature silk. Made by XCOSER, the wig beautifully caputres the carefree zombie hunter look exuded by Daryl Dixon. With a generous head circumference of 22 inches (56cm), hooks inside the wig cap allow the wig to be adusted so it should fit most Daryl doubles comfortably. Read our full review of this dedicated Daryl Dixon Wig. 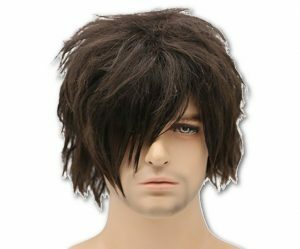 Even if you’re cosplaying on a tight budget, you can get your hands on a Generic Men’s Wig which can be easily styled for that Daryl Dixon tousled look. 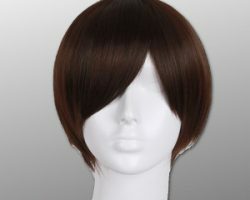 This wig is manufactured from Kanekalon fibre which is a high-temprature resistance fibre. It can be styled to be curly or straight as long as the hair appliance is not too hot. It copes best with temperatures around 70 – 90 degrees Celsius. For those who want to go the extra mile and ensure their “hair” looks just like Daryl’s, take advantage of this Step by Step Daryl Dixon Haircut Tutorial for a professional’s advice on creating the perfect Daryl Dixon hairstyle. “It’s hard not to look cool carrying a crossbow. It’s pretty cool, yeah. 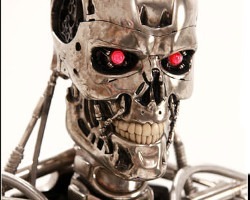 I have a lot of cool toys, that’s for sure”. 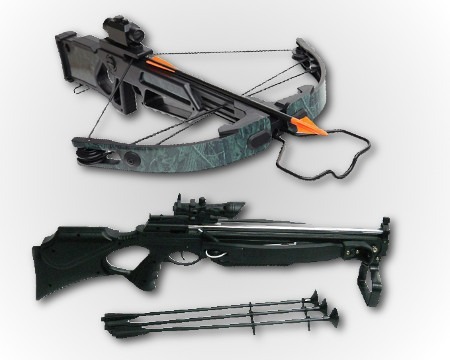 Fortunately, we have two suitable crossbows we think would be great for completing any Daryl Dixon Costume. 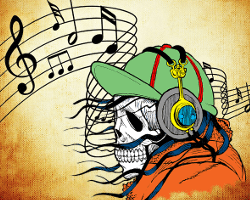 Trigger activates sound and vibration. Measures 26 1/2-inches long approx. Requires 3x ‘AA'(1.5V) batteries, not included. Unfortunately, due to high demand these Daryl Dixon Crossbows are in short supply and rather hard to come by. 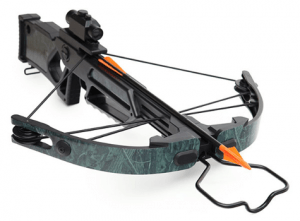 If you have your heart set on owning one of these specific crossbows, here is your chance! This AMC The Walking Dead prop replica makes an ideal choice for cosplaying Daryl Dixon. 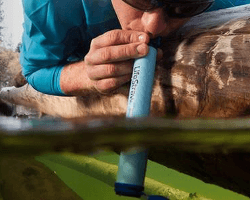 When pulled, the trigger activates sound and vibration. 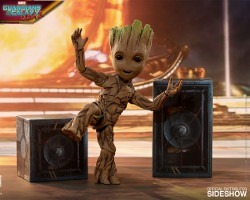 It measures about 26 1/2-inches in length and requires the addition of 3 AA (1.5V) batteries, not included. For more details check out our Daryl Dixon Crossbow Review. This is a great crossbow to complete a Daryl Dixon costume or indeed any costume that requires a prop crossbow, such as a zombie hunter etc…Made of plastic, it is very realistic looking. In fact, it might be a good idea to place red tape on the end to highlight it as a prop! 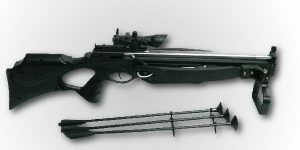 This crossbow comes with suction tipped darts that can be fired from the crossbow. 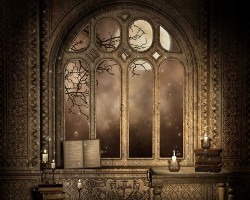 Although the distance they fire is quite short, care should be taken. Unlike other prop crossbows which look and feel cheap, this is a realistic looking crossbow which will complete your Daryl Dixon costume with a touch of authenticity. Now you have your hands on a Daryl Dixon crossbow, all that’s left to do is practice your crossbow skills. You can’t expect to be an expert straight away of course. Even Norman Reedus had to start somewhere. Check out this sneak peak at Norman in the early days of perfecting his crossbow skills. Depending upon which season of The Walking Dead you plan to cosplay, Daryl can be witnessed in various stages of injury throughout the show. 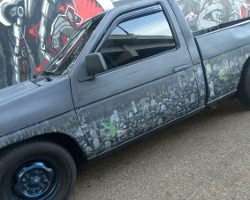 Apart from making your clothes look battle worn with some carefully placed tears, the appilcation of some stage blood and the addition of some bruises or scars can help to make it look as if you’ve just fended off a gang of Saviors! 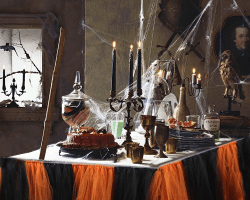 Our Halloween Makeup Section has some great ideas on how to create the ideal look. What to know how you can complete your look for an all over Daryl Dixon makeover? 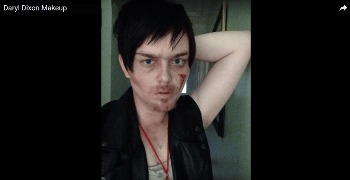 Follow this excellent Step by Step Daryl Dixon Makeup tutorial and you will learn how to transform yourself into a Daryl Dixon double. The kit includes: 6-1/2 oz.Creme Foundations, 8-1/4 oz. 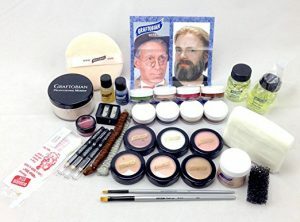 Creme Lining/Highlighting/Rouge Shades, 3-Pencils, 2-Brushes, 2-Pieces of Crepe Wool, Powder, Puff, Latex and Stipple Sponges, Modeling Wax, Spirit Gum & Remover, Make-Up Remover, Hair Whitening Stick, Stage Blood, and Full Color Instructions showing Beard laying and Old Age Make-up, written by NYC Make-Up artist Jay Pearlman. Once you have acquired the core clothes of your Daryl Dixon cosplay you can take your time adding some authentic finishing touches. For example, in Season 2 Epsiode 5 of The Walking Dead, entitled: Chupacabra, Daryl appears sporting a necklace made from zombie ears. Fortunately it is just down to a bout of hallucinating and he is soon over it. Another Daryl Accessory that has become a firm favourite is the black Bandana he uses to cover his face in Season 4 of The Walking Dead. Either would make a great addition to a Daryl Dixon costume and are readily available. 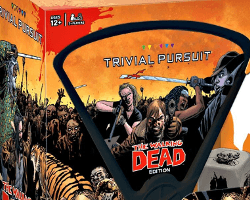 Much speculation ensued in the advent before Season 4 began as to why Daryl Dixon was seen wearing a black bandana to cover his face. 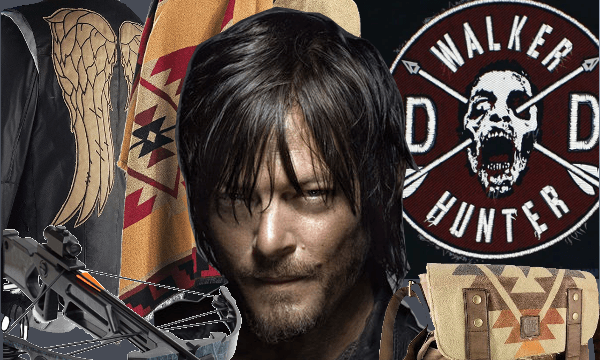 Now you can have your own Daryl bandana to complete your Daryl Dixon costume. We’ll leave it to you to decide whether to cover your face or not! 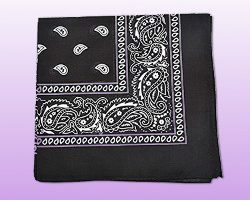 This beautiful back bandana in Paisley print is made from 100% cotton and is printed on both sides. At a generous 27 inches square it is large enough to wear in any number of ways. It comes in a range of colors too. 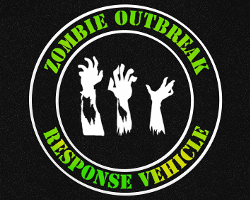 We think this would make a great accessory to compliment your Daryl Dixon Costume and would be a great addition to any wardrobe. Instantly recognisable to fans of The Walking Dead is this Zombie Ear Necklace. 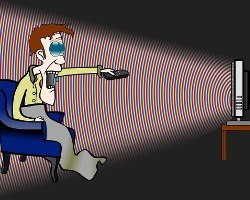 During the episode entitled “Chupacabra”, Daryl is hallucinating and having an animated conversation with his brother, Merle Dixon. Daryl’s reaction to the taunts of his older brother is to terminate two Walkers, subsequently fashioning a necklace from their ears. Although seemingly gruesome, this necklace remains a measure of how feral humans might become when pushed to the limits. 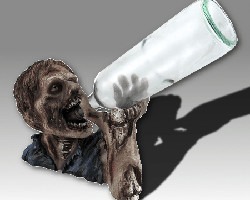 In his bid to survive the new post-apocalyptic era, Daryl becomes the man he needs to be to triumph over his demons, the Walkers and whatever other crawling nasties are lurking in the shadows. 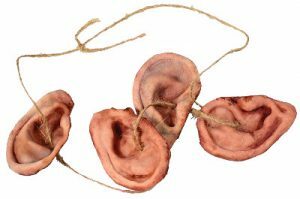 Made from latex, this tantalisingly gross and delightfully realistic zombie ear necklace calls to mind a significant moment in Daryl’s transformation into the ultimate survivor. Smoking the occasional cigarette is another of those little traits that make Daryl Dixon who he is. If you want to capture the moment witout having to inhale, why not get some of these realistic looking cigarettes? 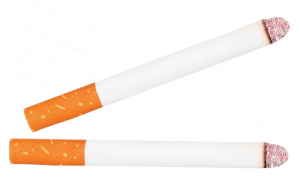 Fashioned to closely resemble filter tipped cigarettes, these cigarettes give the illusion of being lit and emit smoke when puffed. 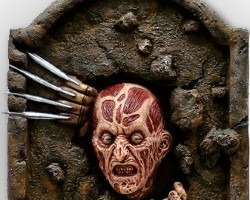 Excellent accessory for complimenting your Daryl Dixon costume. Daryl Dixon is the ideal house guest who never turns up empty handed to a dinner party, even if it’s just a squirrel! 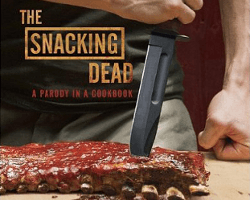 Afterall, when the zombie apocalypse hits and the local grocery store no longer delivers, it’s necessary to think outside the box when it comes to putting food on the table. Daryl has been known to polish off a squirrel or two, so why not add one of these realistic, stuffing-less squirrels to your costume? Drape it from a belt, or put a couple on a string and hang them over your shoulder. 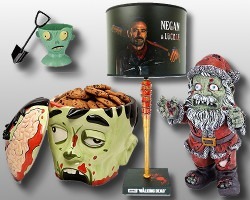 Sure to bring a realistic and amusing touch to any Daryl Dixon ensemble! 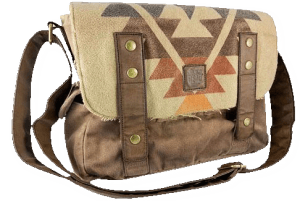 Whether you are attending a costume event dressed as Daryl Dixon or just a huge Walking Dead fan, this Daryl Dixon Poncho Messenger Bag is going to be perfect for ferrying all your Walking Dead stash! Fashioned in the style of Daryl’s Poncho, this bag would be great as part of a Daryl Dixon costume for carrying all Daryl’s accessories such as his cigarettes, squirrel snacks, ear necklace…all the treasures we have come to associate with the daring Mr Dixon. 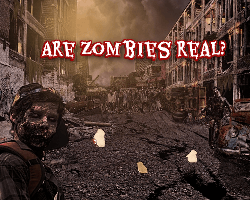 Predominately made of canvas with faux leather embellishments, the bag measures a generous 17 inches by 12 and a half inches and has plenty of pockets for storing all your zombie apocalypse treasure. Check out our Daryl Dixon Wings Zombie Messenger Bag for another great Daryl Dixon Accessory. If you really want to go the extra mile, you could even cosplay as Zombie Daryl! 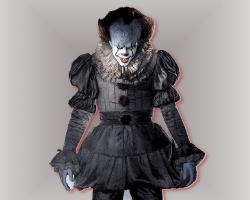 Simply follow the step-by-step costume guide provided above and then read our Easy Zombie Makeup Tutorial or Zombie Makeup Tutorial for Wounds to learn how to apply your own zombie scars, wounds and ghoulish make-up. 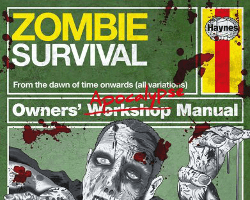 Ultimately if you have any further questions about Daryl Dixon Costume ideas, or about Walking Dead costumes in general, then please feel free to contact our Zombie Pit team for some top tips. 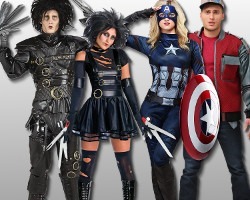 Check out our Costumes Section online today for more great step by step costume guides.